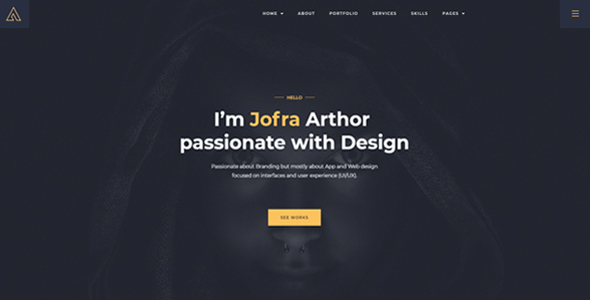 Arthor is a new Creative portfolio concept for creative agencies and freelancers with clean and elegant design. 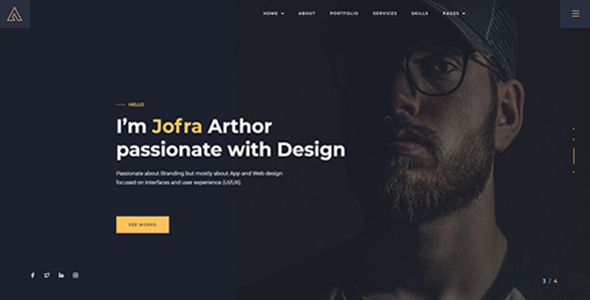 Arthor is highly suitable for your personal portfolio, CV, Creative Portfolio, resume, Photography, Portfolio Showcase or any kind of creatives people is now able to create a quick and easy portfolio to showcase their work with a distinctive and creative touch using Arthor. 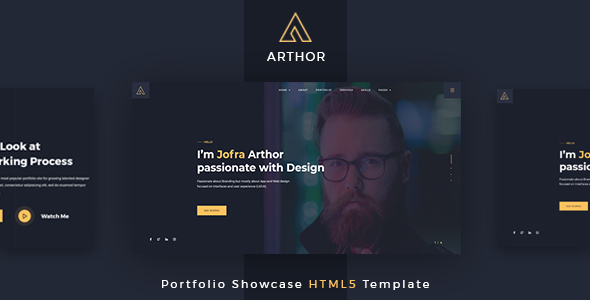 Arthor – Creative Portfolio Showcase HTML Template come up with more than 27+ pages with 10+ home page variations and with others essential pages like About page, service page, contact, portfolio pages, portfolio details, blog post standard page, blog details page, 404 Error page, coming soon page etc. 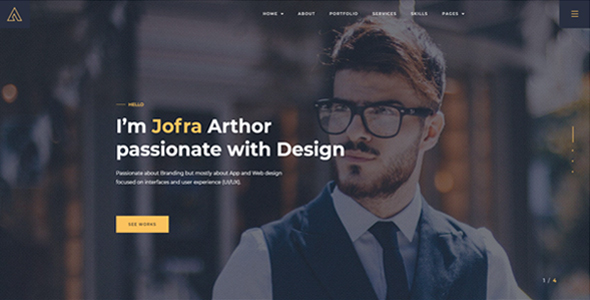 This Template is built with world most Popular CSS Framework Bootstrap 4.x, html5, css3, jQuery, and many more Technology features. Arthor is fully compatible to all major browsers such as Google Chrome, Microsoft Edge, Firefox, Safari, Brave (web Browser), Vivaldi, Internet Explorer 9+ etc. NOTE: All images used in this template are only for demonstration purposes and are Not included in the main download due to copyright descriptions but you can free download from the above site.